Get a brief recap of the major milestones Apple hit in 2018 and take a sneak peek at what you can expect from Apple (and Apple device management) next year. 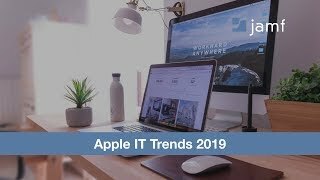 Before you finalize your technology plans for 2019, join us for a brief recap of the major milestones Apple hit in 2018 and take a sneak peek at what you can expect from Apple (and Apple device management) next year. Have questions about our webinar? Reach out to us at info@jamf.com or give us a call today.